Bamboozle the kids, family, friends, or just about anyone, with the Jelly Belly BeanBoozled® Gift Box that's a game and a candy all in one. Take the dare with the spinner wheel, then pick the jelly bean in the color the spinner lands on. 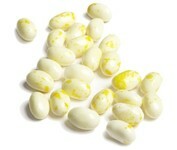 It's a dare for intrepid jelly bean eaters to take their chances on tasting lookalike wild or mild flavors. 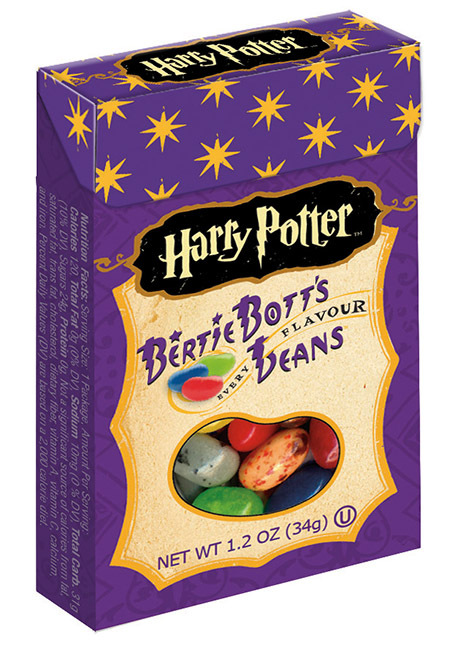 If you happen to get a Booger-flavored bean instead of Juicy Pear - you've been BeanBoozled! Double and triple dare adventuresome players. Each 3.5-oz. box includes the BeanBoozled jelly beans and a colorful spinner. Jelly Belly BeanBoozled jelly beans are a collection of 20 lookalike flavors, some so crazy you can't believe it, while others are the delicious Jelly Belly beans you love. New this year are Stinky Socks and Lawn Clippings flavors. Is the black jelly bean Licorice, or is it Skunk Spray? Perhaps the blue bean is Toothpaste flavor, or maybe it's delicious Berry Blue. 3.5 oz box. Boxes are randomly mixed, so each one may not have the same mix of flavors.